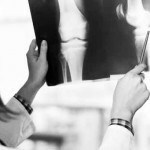 Personal injury describes all types of physical and psychological injuries suffered in a wide range of circumstances. Poorly designed products, motor vehicle accidents, unsafe job sites – these are a few causes of injuries that can alter people’s lives forever. At Torry Lewis Abells LLP, we understand that recovering proper compensation for injuries is a challenging process. Experienced legal help is essential because settlement is final. There is no second chance to recover additional damages if new problems arise later. Our lawyers strive to recover appropriate levels of compensation for pain and suffering, cost of future care, and past and future income loss. It is in a client’s best interest to seek legal advice early in a personal injury claim. Evidence must be gathered before it is destroyed or disappears; witnesses must be interviewed before their memories fade. Our lawyers determine for clients whether a claim is worthwhile, and what limitation period applies to the claim. When our lawyers work to acquire compensation for a client, they are using their experience to help give something back to a person who has been wronged. Compensation attempts to put a person back into the position he/she was in prior to the injury. Our fees are usually based on a percentage of recovered compensation plus disbursements.